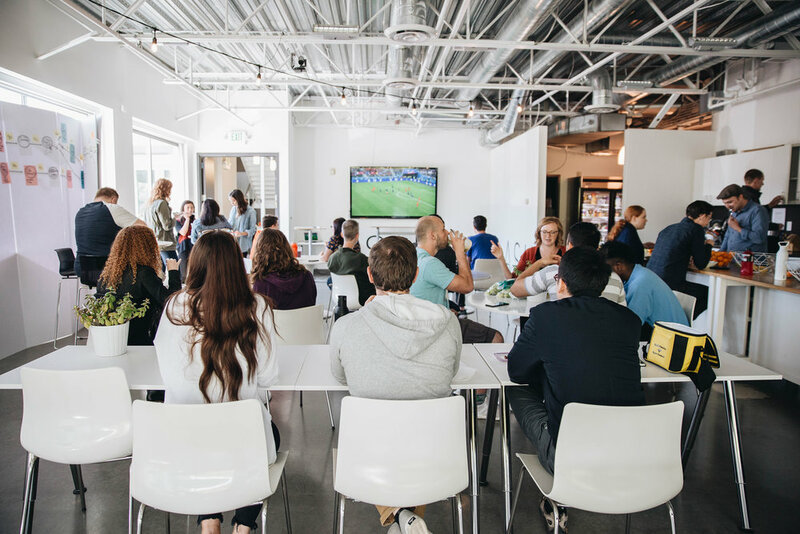 Behind the scenes at Subsplash, our team gets a front row seat to incredible content made by our clients for their apps, websites, podcasts, giving campaigns, and more. Countless hours, pixels, and bytes—all of them created to impact communities around the world. Your content inspires us, encourages us, gets us through traffic, takes us deep into God’s word, and gives us joy as we serve the Church with great technology. We love seeing the content you create, and how you use the tools on the Subsplash Platform to engage your audience. Looking back on 2018, here are just a handful of apps that we love—and you will too! Download a few of these apps today to get inspiring content and some new ideas for your own mobile strategy. 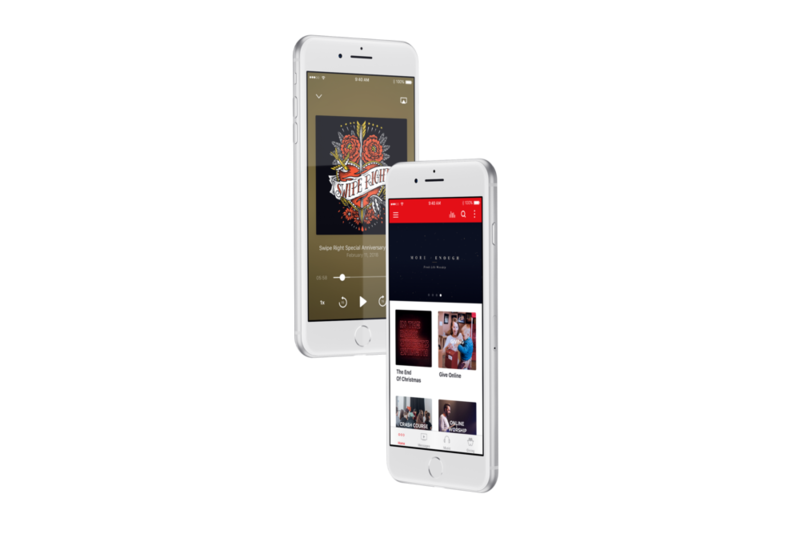 If you want to learn more about custom apps and The Ultimate Engagement Platform™, let’s chat! As we tie a bow on 2018 and head into the new year, we’re reflecting on all the incredible things these past 12 months have brought. And what a full year it's been! 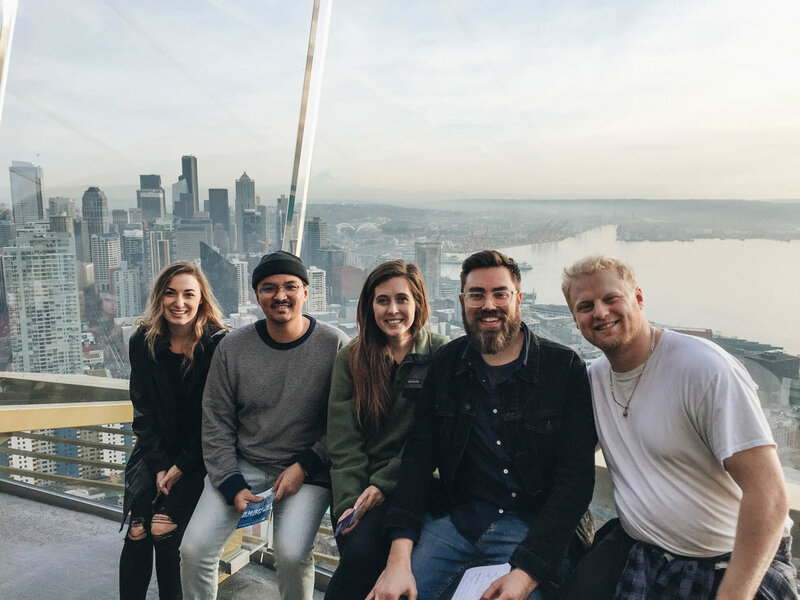 From opening a new office in Wenatchee, WA to launching dozens of new products and features on the Subsplash Platform, we've been hard at work to serve the 9,000+ churches, ministries, and businesses we have the honor of partnering with. 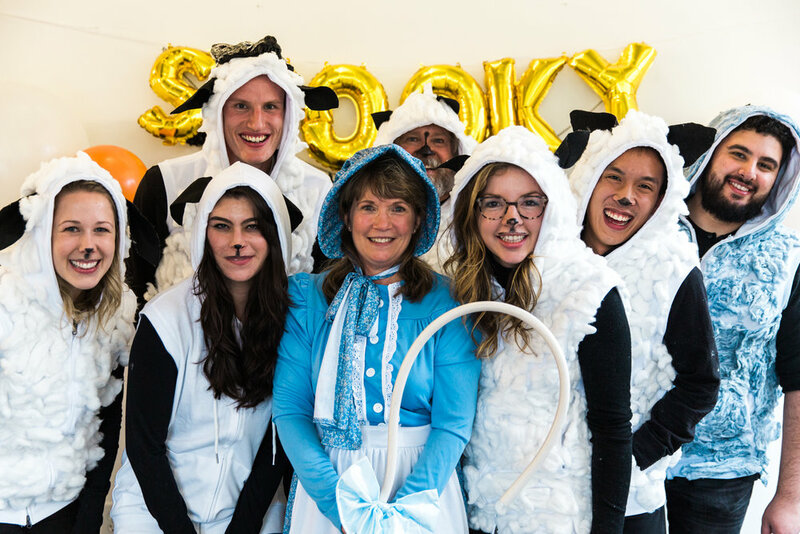 Not to mention we nearly doubled our team in size, welcomed 11 Subsplash babies into the world, won the Puget Sound Business Journal’s Best Workplaces Award, and our team consumed 625 pounds of coffee! Oh, snap! In 2018 websites joined the Subsplash Platform! We are so excited and encouraged by the increased engagement that has been made possible through SnapPages. 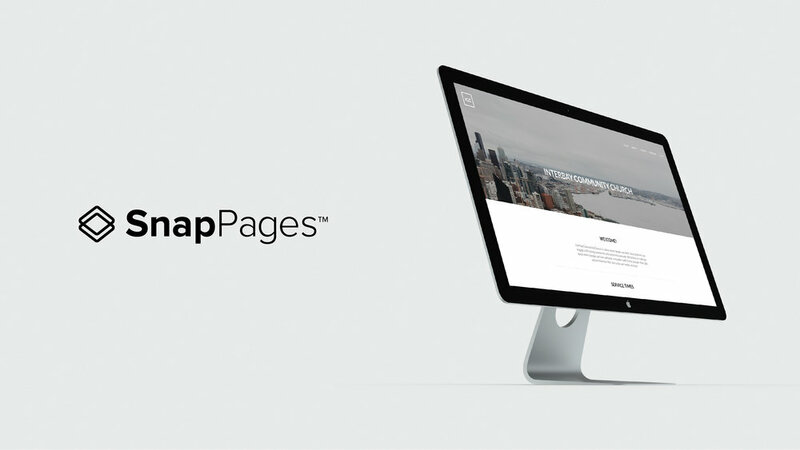 Since we launched SnapPages a few months ago, we have seen hundreds of churches and businesses maximize the power of the Subsplash Platform by building their website on SnapPages, and we can’t wait to see the continued engagement this brings into the new year! By adding Roku TV Apps to the Subsplash Platform, meeting your community where they are at as has never been easier than it’s been in 2018. 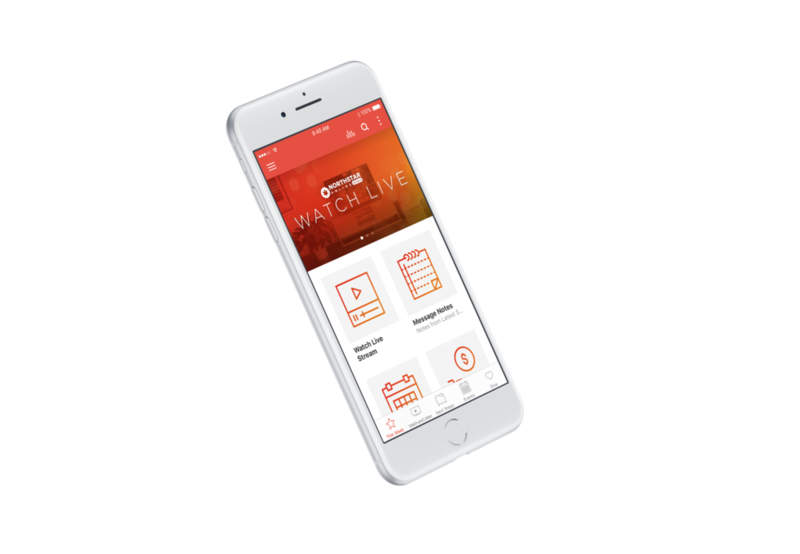 We’ve loved hearing about how Subsplash TV Apps have made week long engagement possible for your communities! 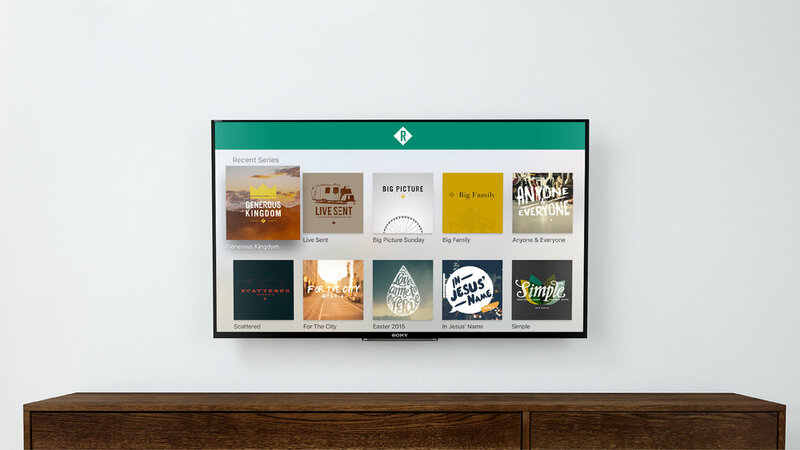 Since we launched Roku TV Apps this year reaching people with gospel-centered content all week long, in their homes, is now possible. GeoEngage creates the ability to send location-based push notifications as well as complement person-to-person interactions that help connect your community right where they are. We are on a mission to help bridge the divide between digital and real-life communication, and are making this possible through world-class technology like GeoEngage. We couldn’t stop there! We’re continually striving towards creating products that real people can use. In 2018 we also released new Custom App Layouts, Media Search (for apps and web), new ChMS integrations with Planning Center Giving and Rock RMS, App Promo and Events Web Integrations, improvements to Subsplash Giving, Fill in Notes, and so much more! Stay Humble. Work Hard. Make Waves. Our team worked hard in 2018 to fulfill our company mission and release incredible new enhancements to the Subsplash Platform, plus we've had a blast doing it! Over the last year our team each took on average 100 of hours of paid vacation (work hard, play hard), we opened a new office located in Wenatchee, WA, and all new team members (and there were a lot of them) participated in our annual “challenge course” day, which consisted of team-building activities designed to develop the way we communicate, plan, and implement new ideas at our offices. In addition, we were able to promote 43% of our employees to reach more goals within their career path. 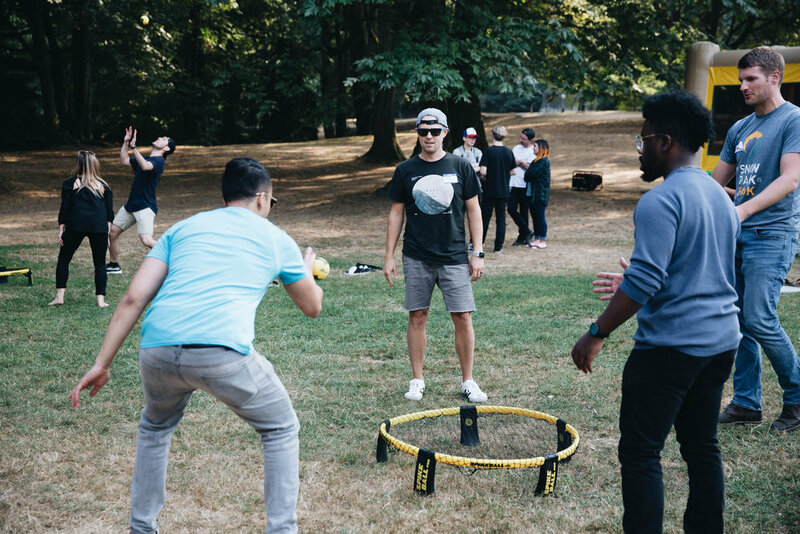 As we strived to delight our employees and clients, we were awarded the Puget Sound Business Journal Best Workplaces Award, and made multiple appearances on the GeekWire 200 list. 2018 was a year full of working hard, staying humble, and innovating to make even more waves. We couldn't have asked for a better team or year! As we ring in the new year and reflect on the delight that was delivered to millions of people around the world, we have so much to be thankful for! All of this and more was possible because of you, our clients, and the work your ministry does to make the truth of Jesus incredibly accessible. We are honored to work alongside you, and we love hearing how Subsplash is helping you reach more people and increase engagement within your community. We can’t wait to share what 2019 holds, and we wish you the happiest of New Year! 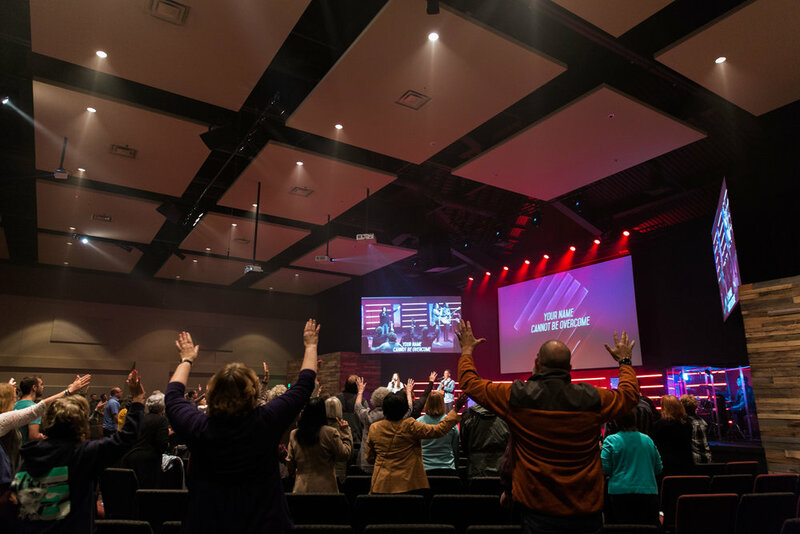 Situated in the heart of the Pacific Northwest, Evergreen Church serves about 2,200 people in the Seattle suburb of Bothell. Over the last handful of years, the surrounding neighborhood has grown exponentially, as companies like Boeing, Microsoft, and Amazon have planted roots nearby. This has turned Bothell into a multicultural community, with people from around the world moving to the area for tech jobs. 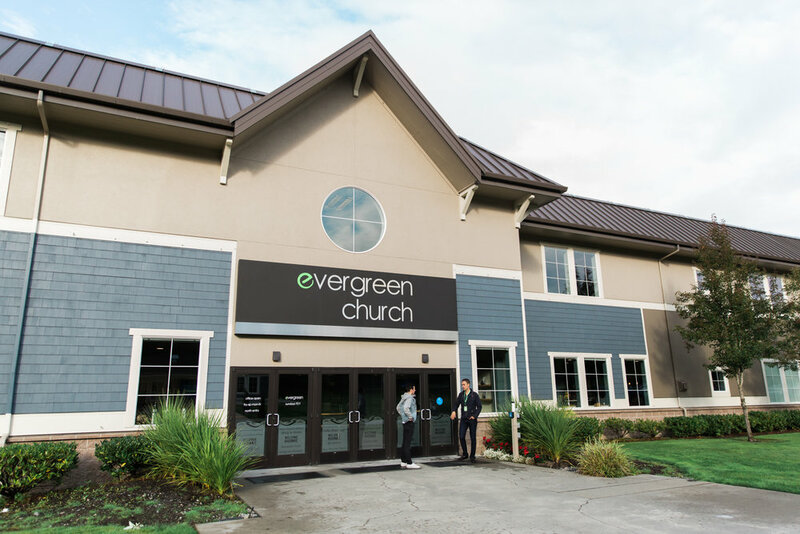 Evergreen Church is located in Bothell, WA, which is close to major companies such as Microsoft, Boeing, and Amazon. “Welcome Home” is printed in 70 different languages across Evergreen’s doors. The hallway leading to Evergreen’s Cultures Coffee House, which is open to anyone on Sundays and during the week. Evergreen’s Cultures Coffee House, which is open to anyone on Sundays and during the week. Evergreen’s band leads worship during their 9am service. 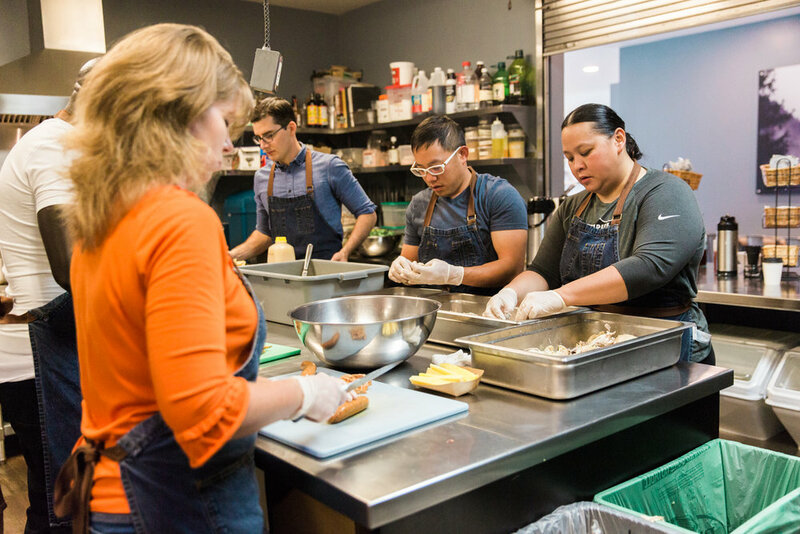 Just a few of the volunteers who work hard to prepare breakfast for everyone who attends the 9am service. Lunch is prepared during the 11am service. Increased media engagement isn’t the only win Evergreen has seen through the Subsplash Platform. 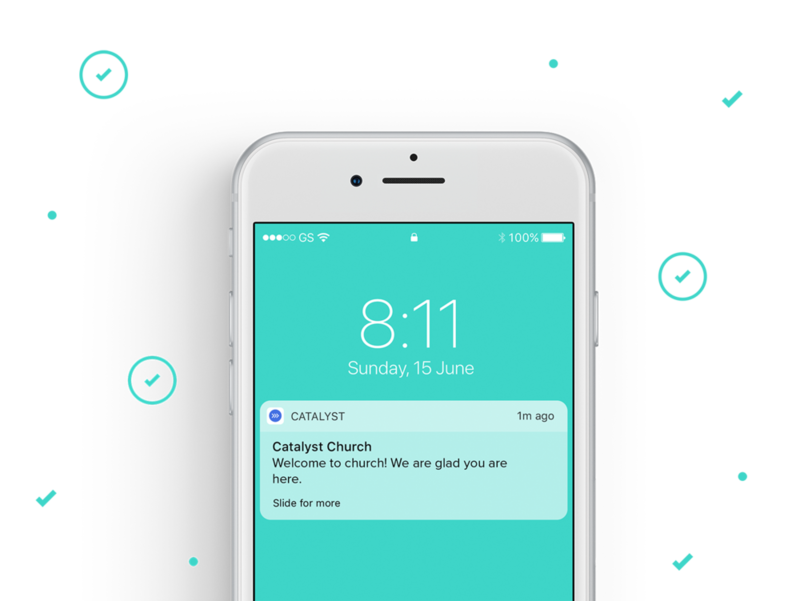 They’ve also used the app to increase engagement during church on Sundays, particularly through Fill in Notes. With Fill in Notes, Evergreen is empowering more people to engage with the sermon by taking notes on their phones. Unlike paper bulletins, these notes automatically save across all devices, and congregants can easily share notes with friends. Since implementing Subsplash’s Fill in Notes, Evergreen has been able to print less paper and save money. Check out the video at the top of the page to learn more about their experience. We loved getting time to meet our friends at Evergreen and hear their story. 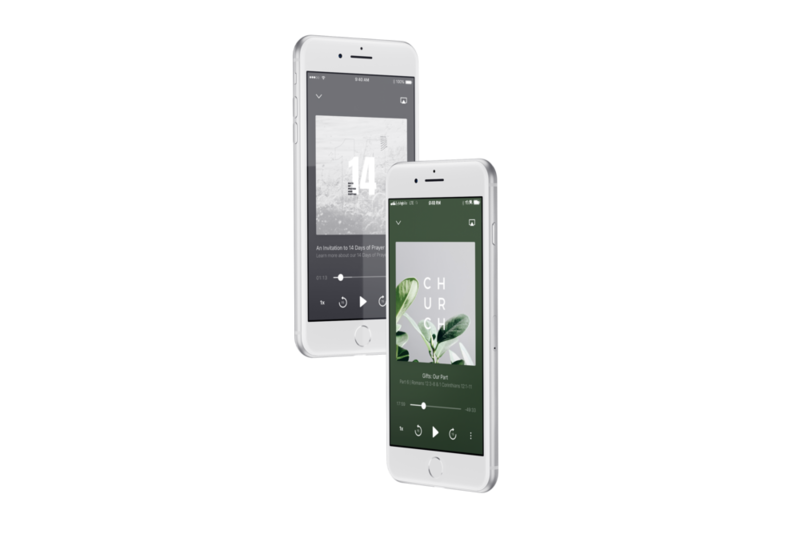 To find out more about Evergreen Church, you can download their app or visit their website. And to learn more about how your church can experience these same results, contact us today at 206-965-8090. We think SnapPages is pretty awesome, but don’t take our word for it. See what real people are saying about the latest innovation from Subsplash. We’re excited to announce the release of GeoEngage, our new location-based targeting feature for push notifications. If you didn’t catch our recent blog post all about this exciting new update, you can find it here. Otherwise, we’re ready to help you learn how to get the most out of your push notifications—and maximize engagement by sending relevant and meaningful messages. Push notifications should be brief and punchy. Messages that perform the best are under 25 words and stay to-the-point without extra, irrelevant information. Don’t send too many push notifications. Overusing push notifications will result in audience fatigue. Users will disengage with your app because they’re frustrated by excessive notifications and could opt out of further notifications or delete your app entirely. Don’t offer too much information in the notification. The point of a notification is not to be as thorough and in-depth as possible. 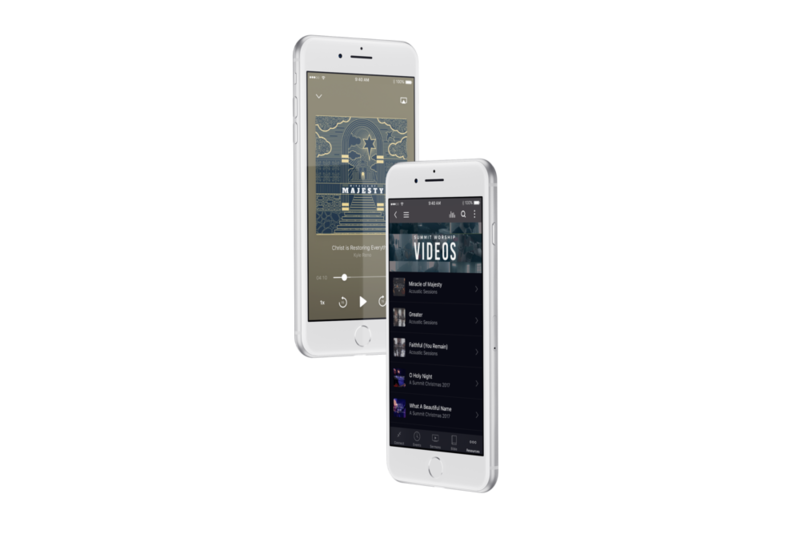 Push notifications help you notify users about important information and keep them engaged with your ministry and your app. If you need to provide more information or instruction than you can fit in 25 words, link to other forms of media like videos or articles in your push notification. Don’t send late night or dinner time notifications. If your notifications interrupt your users at inconvenient times, they’ll lose interest in your messages. Through the Subsplash Dashboard, you can schedule notifications to go out at times when they won’t interrupt family time or wake anyone up. Don’t send messages your users won’t care about. Keep your messages relevant for your audience. Send notifications only to those who need to receive them, and use GeoEngage to send messages that are relevant at a certain place. For instance, you can put a geofence around an event location so you can update users about a schedule change as they arrive. App users who aren’t attending the event, however, don’t need that information and GeoEngage makes it possible to keep irrelevant messages from those individuals. Use GeoEngage to send messages to users at a specific place. GeoEngage allows you to send messages to users at a specific place. When you send location-relevant notifications, your messages can get 4X more increased engagement. Push notifications can increase engagement with your app by almost 90%, but only if you send them regularly. Try sending push notifications at least one time per week to keep your app in front of your church community. Automation comes in handy here. In the Subsplash Dashboard, you can easily automate important messages that your community needs to receive on a regular basis. Push notifications with strong verbs and action-centered language get more opens and engagement than those without. For instance, starting your message with the words “Get your…” can double or triple your open rates! Offer high-value and helpful messages. Use different kinds of media, like images, audio, and video to increase engagement with your posts. These types of notifications are known as rich push notifications and can increase engagement with your messages by 30%. Send targeted messages based on a user’s category. Within the Subsplash Dashboard you can segment your community into groups so you can send even more relevant messages. For instance, you can create groups for college ministry, children’s ministry, young married couples, women, men, parents of toddlers, and more. Then you can send targeted messages to people in these groups instead of notifications to all your users. This means only parents with children in the nursery will get important updates about small children, while only college students will get messages about your upcoming campus outreach. These types of targeted messages improve response rates by four to seven times. Encourage users to opt-in to push notifications. Users who opt-in to receive push notifications are retained two times more than users who don’t, so it’s in your best interest to encourage opt-ins. Ask users to opt-in when they download your app. Want to learn more about how to use push notifications effectively for your community, in addition to leveraging GeoEngage? Download our eBook! Ready to start using GeoEngage and not currently a Subsplash Client? Let's chat! If you're already a Subsplash Client, speak with your Client Success Manager to make sure your account is ready for GeoEngage!